Originally published under the title, "Turkey's Staggering 'Shoeboxgate': How Turkey 'Fights' Corruption." Imagine one chilly day the American people wakes up to news that, in early morning raids, squads of public prosecutors and police detain the sons of cabinet secretaries, a mayor, a state bank manager and prominent businessmen -- all with publicly known close ties to the Obama administration. The mounds of evidence include telephone conversations, video material, and more -- all unmasking the trafficking of huge amounts of illegal money and expensive gifts among the suspects, who include a shady Iranian businessman. Dozens of audio recordings reveal a network of relations among Obama's closest political and business allies, involving billions of dollars. And imagine an audio recording of Obama calling his son and ordering him to get rid of all the cash he keeps at home; and his son, after trying for several hours, tells him there are still millions left. And Obama claims this is a coup d'état against his elected administration, and purges all prosecutors and police officers investigating the charges. This is what exactly happened in Turkey in December 2013. 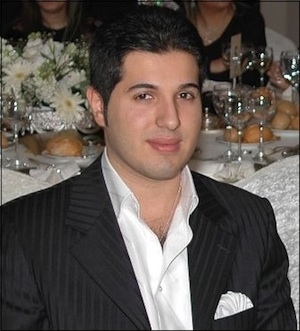 In the investigation, Reza Zarrab, an Iranian businessman, was accused of running a network that laundered at least 87 billion euros to bypass international sanctions on Iran, and bribing ministers, their sons and senior public officials in Turkey. Reza Zarrab, an Iranian businessman, was accused of running a network that laundered at least €87 billion to bypass international sanctions on Iran, as well as bribing senior public officials in Turkey and their sons, including Bilal Erdogan. The prosecutors claimed Zarrab handed out around $60 million in bribes. Zarrab allegedly gave $5 million to (then) Interior Minister Muammer Guler in return for Turkish citizenship. Zarrab also allegedly paid $5 million to (then) Economy Minister Zafer Caglayan's son, Salih Kaan, and gave a $300,000 Patek Philip Swiss watch to the minister. Meanwhile, the police found around $9 million in cash stuffed into shoe boxes at the home of Suleyman Arslan, then general manager of Halkbank, a government-owned bank that was instrumental in trade between Turkey and Iran (shoe boxes would later become a symbol of corruption at anti-government protests across Turkey). EU Minister Egemen Bagis was the other recipient of cash from Zarrab, according to the prosecutors. And Housing Minister Erdogan Bayraktar was accused of arranging multibillion dollar contracts for government-friendly companies. At the peak of the wave of arrests and investigation, Bayraktar would publicly say: "Whatever I have done, I have done it with [Erdogan's] knowledge and orders." And he would argue that "the prime minister [Erdogan] too should resign." On Dec. 25, 2013, a week after the investigation officially took off, three ministers resigned from cabinet. Erdogan claimed that an influential Muslim preacher, Fethullah Gulen, and his network of prosecutors and police officers were behind the investigations. From the start of the investigation, Erdogan seemed to fear that the allegations now in the public domain could finish him off at the ballot box in municipal and presidential elections in March and August 2014, respectively. He claimed that an influential Muslim preacher, Fethullah Gulen, and his network of prosecutors and police officers were behind the investigations. He and his closest political associates, including Prime Minister Ahmet Davutoglu claim the same thing to this day. Gulen, who lives in self-exile in the United States, was Erdogan's most powerful political ally until the two were engaged in a power struggle early in 2014. For the past year, since December 2013, Erdogan's administration has suspended, reassigned, prosecuted and jailed thousands of (mostly) police officers on charges of attempting illegally to topple his government. "If reassigning individuals who betray this country is called a witch hunt, then, yes, we will carry out a witch hunt," Erdogan said. There is speculation in Ankara that the next target of Erdogan's "witch hunt" will likely be prosecutors and judges believed to be members of Gulen's movement. The government's move to reshuffle the top layers of the judiciary changed the balance of power in favor of Erdogan. All the same, the big blow to the Gulenists did not come from Erdogan's counter-offensive, but from the ballot box. Erdogan's Justice and Development Party [AKP] won 43.3 percent of the vote in municipal elections last March, and Erdogan won 51.5 percent of the vote in presidential elections in August. For Erdogan, his election victories meant that all allegations of corruption were baseless. The nation had found the suspects not guilty. For the first time in the history of justice, voters had acted as the jury for a high-profile corruption case. 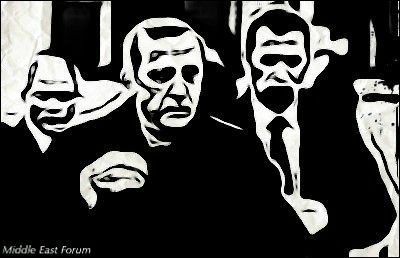 That thinking, coupled with a move to reshuffle the top layers of the judiciary, changed the balance of power in favor of Erdogan. In October, a prosecutor in Istanbul dropped all charges against the suspects in the corruption investigation. The cash confiscated from them was returned, with interest! But there was another investigation not yet closed. Upon AKP's proposal, a parliamentary commission was set up to investigate the charges independently. The commission consisted of nine AKP members of parliament and five opposition members. Despite findings reported by the government's financial crimes investigation body, which said the personal wealth of the ministers in question had increased disproportionately to their incomes, the commission decided on Jan. 5 not to send the suspects to the Constitutional Court to stand trial. All nine government MPs had voted against trials for the suspects, and all five opposition MPs voted in favor. Erdogan hopes to secure a two-thirds parliamentary majority, so that the constitution can be amended to legitimize his present effective executive presidency. Turkey's top court, the Constitutional Court, has the authority to try ministers and prime ministers on criminal charges. A few days before the commission announced its decision, Health Minister Mehmet Muezzinoglu said that his party did not trust the Constitutional Court, which, he said, could be part of the coup d'état against the administration. To which the main opposition party replied: "If you don't trust the top court, how should ordinary citizens trust the ordinary courts?" Good question. But the government shrugs it off. Turkey is once again heading for elections. The parliamentary elections in June will be particularly critical for Erdogan, for a number of reasons. First, someone other than him (Davutoglu) will be leading the party's campaign for the first time since 2002. Second, Erdogan's ambitions are not about just winning the elections. He seems interested in securing a two-thirds majority, so that the constitution can be amended to legitimize his present effective executive presidency. Erdogan calculates that any publicity about his former ministers standing trial, and evidence against them hitting headlines, could prune his party's votes in June. He is probably right. If he wants to change the constitution in favor of a lawfully executive presidential system, he cannot afford to lose even a handful of votes. The opposition is furious. So is the anti-Erdogan bloc, which makes up roughly half of Turkey. There will be a final round of voting at the parliament's general assembly at the end of January. The vote will be about whether to send the corruption suspects to the Constitutional Court or not. The AKP has enough of a majority to kill the move. But the opposition relies on "secret voting," which can produce defectors from the AKP benches. The opposition will need about 55 defectors from the government to send the former ministers to the Constitutional Court. This looks unlikely, but not altogether impossible. Once again, Turkey has proven to be a fascinating country, putting rules of law and ethics upside down. In Turkey, corruption suspects have a shield against prosecution, and law enforcement officers who prosecute corruption can go to jail.